Spicy Egg Plant 辣味茄子 is cooked with preserved bean paste, which can fully bring out the taste of egg plant. It is contained in a long narrow white plate, and eggplant is displayed in the form of 5 balls, this would enhance your appetite a lot. 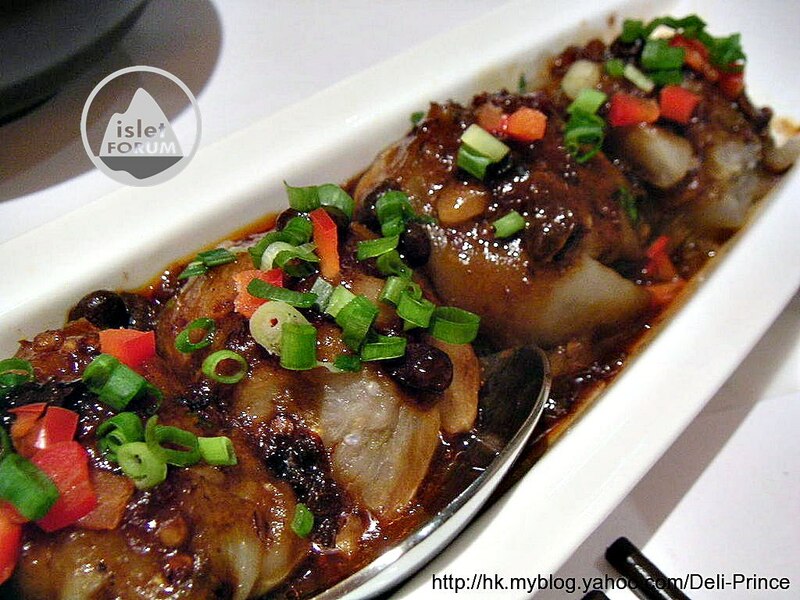 Originally, it should be a common item in other restaurants, but in Xi Yan it becomes an outstanding item in our meal. 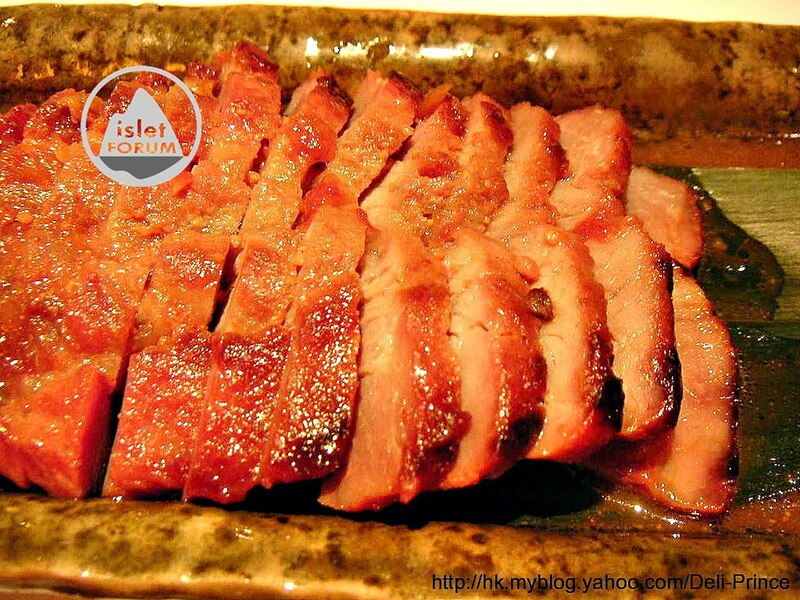 Cha Siu (Roasted Pork) in Red Bean Curd Sauce 南乳叉燒. Appearance is not very alluring and is quite like Japanese Cha Siu. The taste is above average, and we accept this new species of Cha Siu. 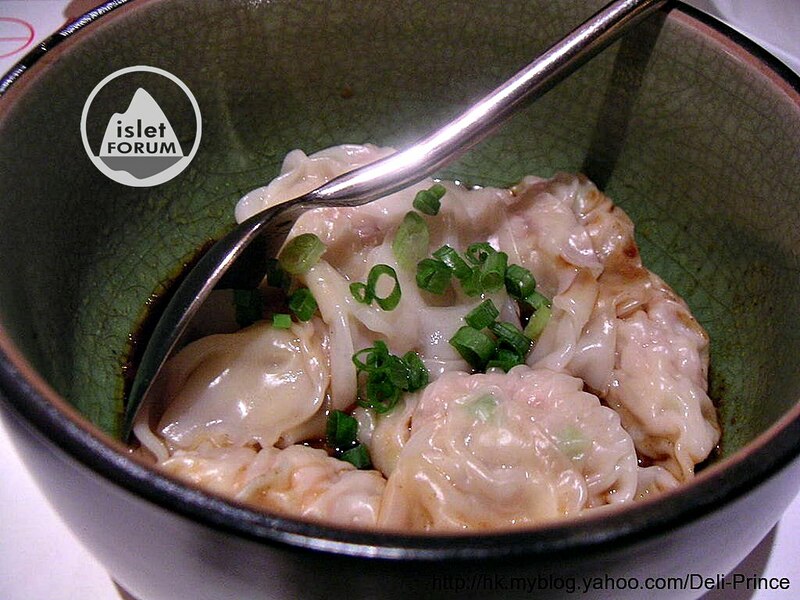 Pork Dumplings with Red Chili Oil 紅油抄手 is an average item only. 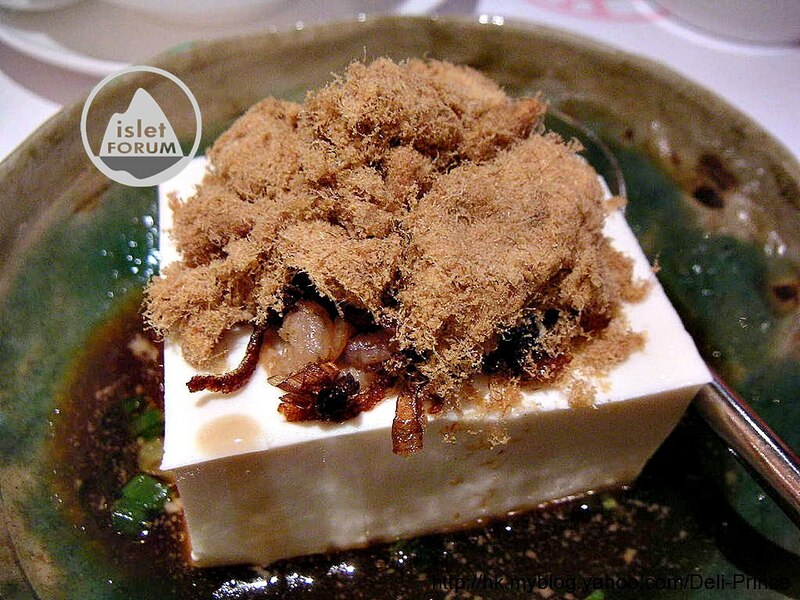 Cold Tofu 秘制凍豆腐 $38 comes with tofu in low temperature and toppings of pork floss 豬肉鬆 and small dried shrimp. Together with the special sauce, it is changed from a tofu to a cold dish of delicacy. 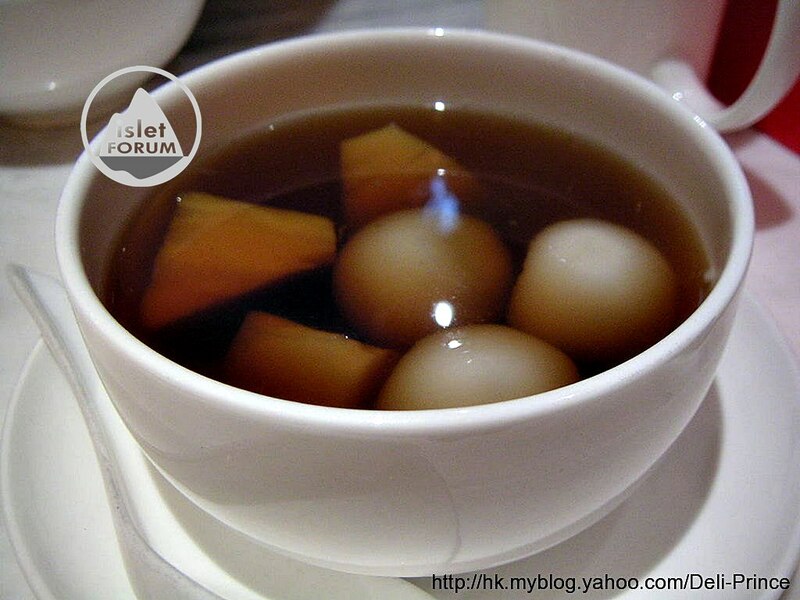 Custard Glutinous Rice Dumplings in Ginger soup 薑湯漏黃湯丸 $28 is claimed to be representative in its desserts. Inside the dumplings, the content comes with white gourd 冬瓜, peanut and salted duck egg. 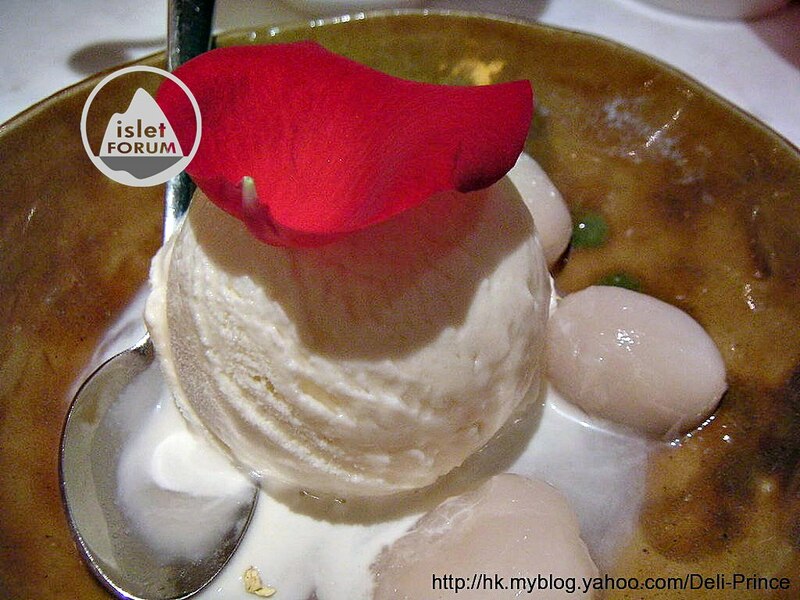 Salted duck egg is in very small portion that we really do not notice. If we have not asked for the content, we really cannot guess there is salted duck egg. A friend has suggested that Xi Yan is a restaurant serving delicious foods. We try to create something to happen near Admiralty and of course we have booked in advance. Xi Yan Sweets is a restaurant of modern design; it gives you an eye-catching impression of bright red color. We are allotted to a table at the corner and near the street; it is really a good table, enabling us to see the street view and passers-by. But the first feeling towards Xi Yan is not good; the layout (in terms of alignment of tables and spacing) is like Fairwood Fast Food www.fairwood.com.hk. It gives me a poor feeling before the start of this meal. Besides, sound absorption ability of walls is very poor. When the restaurant is about 50% full, it becomes very disgusting and noisy. We order 4 dishes and 2 desserts, the bill is $268 (average per head $134). Bear in mind, the food portion of all dishes in Xi Yan is only 60 to 80% of those in other restaurants. In order words, the dishes here are about 20% to 40% higher in price (this is our rough estimation only).